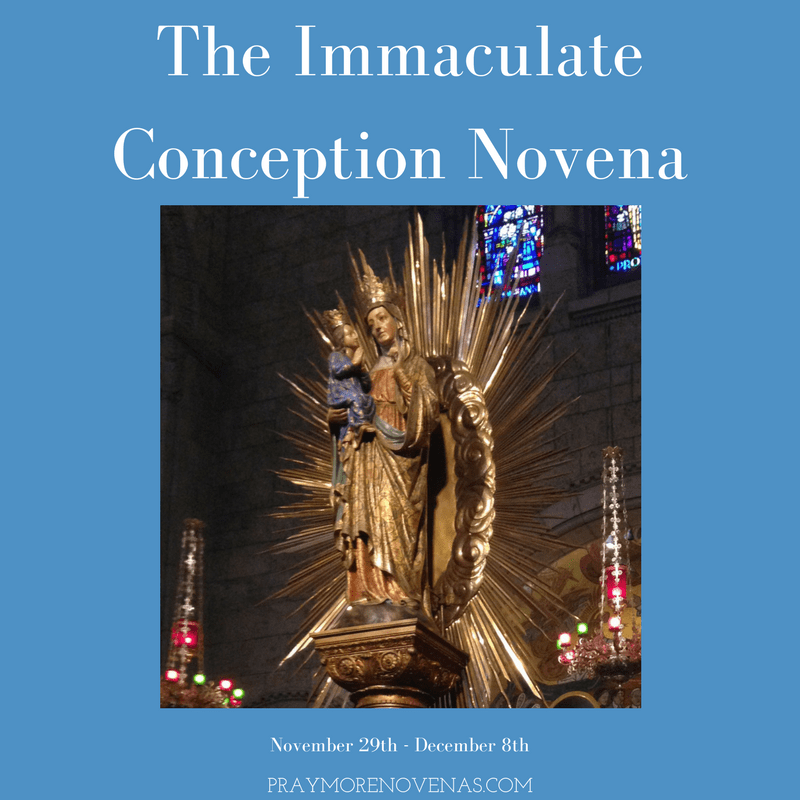 Here’s Day 3 of The Immaculate Conception Novena! Holy mother bless David as he prepares for cancer treatment. Bless his family with courage to cope. Bless Keith make his mind better. Bless all my family the success of some is a blessing. In the name of the father. Blessed mother, I ask you to obtain light and grace for my three sons, Christopher, Tristan, and Joshua, for them to recognize their sins and their need for God, and to turn their hearts and minds back to God and the Roman Catholic church. I also ask this favor for my student, Joshua. Amen. Mother Mary bless my husband, my son, daughter in-law and myself. Help us to be better Christians and increase our devotion to you. Help my son to get a permanent/regular source of income and let his food truck business improve. Heal my two elder brothers -one suffering from Parkinson Disease and other from ILD. Thank you Mother I love you. Dearest Jesus and Blessed Mary, please heal our son of his anxiety and depression. Please heal my husband of his diabetes and heart disease. Help him to continue to make healthy food choices. Please heal me of my depression and anxiety, fibromyalgia and heart disease. Please heal my son and I of our allergies and asthma. Thank you Jesus, for making his sciata better. Lord I place my job into your hands.Blessed mother I place the situation with nl into your hands. Lord I pray that we would be delivered from nl. Blessed mother this person is evil with evil intention . Lord I place my financial needs into your hands.I pray today for financial deliverance .I pray for money so i could start to do your work.